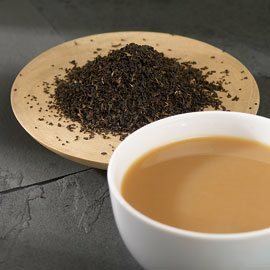 Taylor's finest Assam tea is grown in the Brahmaputra Valley in north-east India. They select only superior teas from the second flush season, when the quality is at its very best. The flavour is rich with a distinctive malty taste found only in teas from Assam, making it deliciously invigorating for breakfast and throughout the day. Packaged in a 4" x 6" ziploc stand-up bag, approximately 3 to 4 oz.